MTIUS YUVA FORUM HOMEPAGE - welcome to the MAURITIUS POORNAWAD HOMEPAGE.. WELCOME TO THE : MAURITIUS POORNAWADI YUVA FORUM. 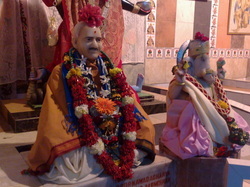 SHREE SAT GURUNATH RAMCHANDRA MAHARAJ KI JAI. With the blessing of our beloved Shree Ramchandra maharaj ji Parnerkar and our most respected and beloved Shree Vishnu Maharaj ji parnerkar.. THE MAURITIUS POORNAWADI YUVA FORUM (mpyf) welcomes you all. This webpage is about the Poornawadi Yuva Forum (PYF) establish in Mauritius island situated in the Indian Ocean in association with the POORNAWADI YUVA FORUM (singapore) and POORNAWAD (Parner-India). WHAT IS POORNAWAD YUVA FORUM? Poornawad Yuva Forum POORNAWAD YUVA FORUM is trying to create a new world order by involving, motivating, and training the youths of Mauritius as well as other nations,We equip them to coup up with the stress and challenges posed by the times and life at personal level, play a dynamic roll in the society and in nation building and create goodwill and friendship in the community of nations. We also build up their confidence so as they can swim perfectly against todays unrighteousness wave of social ocean. THAT IS OUR POORNAWAD YUVA FORUM. WHO ARE THE MEMBERS OF MAURITIUS POORNAWAD YUVA FORUM (MPYF) ?